Our pets provide companionship, acceptance, emotional support, and unconditional love during the time they share with us. In return, we love them and consider them members of the family. So when that special relationship comes to an end it is only natural to grieve. Many of us find comfort by memorializing our beloved pet in a meaningful way. 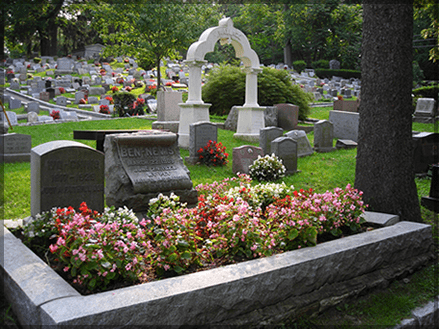 Ever since that fateful day in 1896 when Hartsdale’s founder Dr. Samuel Johnson performed a simple act of kindness for a grieving friend, Hartsdale Pet Cemetery has provided compassion and comfort by treating your pet with the same dignity and care as if he or she was our own. Prices for burial begin at under $2,000.